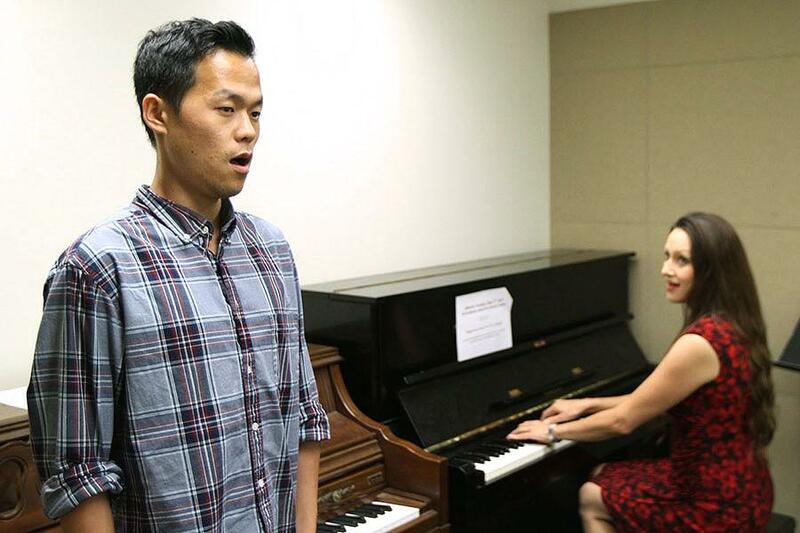 Santa Barbara City College student Daun Jeon, music major, in private singing lessons with adjunct faculty Nichole Dechaine, Sept. 30, in the Music and Drama Building on West Campus in Santa Barbara. Jeon is a student in the Applied Music Program, which allows students to have one-on-one private classes on campus and gain three units. Applied Music is a program that was developed by the music department as a way for City College students to get specialized attention through private lessons while also earning three units of course credit. In order to qualify for the program, students must be a music major and part of a choir or ensemble. Qualified students may audition in front of the department staff during the first Friday of each fall semester. If spaces in the program become available in the midst of the school year, an audition is also held during the first Friday of the spring semester. Daun Jeon is a vocal student in Applied Music, who has been working on opera and classical music with Professor Nichole Dechaine for over a year. Jeon moved to Isla Vista after his family went bankrupt in Korea. His parents were always working so he didn’t have much guidance growing up and eventually became heavily involved with drugs. Jeon then moved to San Francisco and lived on the streets for a year before finally checking into a rehabilitation facility. Jeon moved back to Isla Vista in 2014, started studying music at City College and got involved with the band at Santa Barbara Korean United Methodist Church. Margaret Hontos, his musicianship and theory professor, was the one who encouraged him to audition for Applied Music. In the audition students are allowed the freedom to sing or play an instrument of their choice. A professional in the field will then privately train the selected students for up to two years. If he doesn’t make a career out of performing, Jeon plans to get a PhD in psychology and become a music therapist, as he believes that music can center and heal people. There are currently 23 students enrolled in Applied Music this semester. In addition to working with a professor for six to eight hours each week, the students must perform in at least two of the three free recitals that the program puts on for the public. 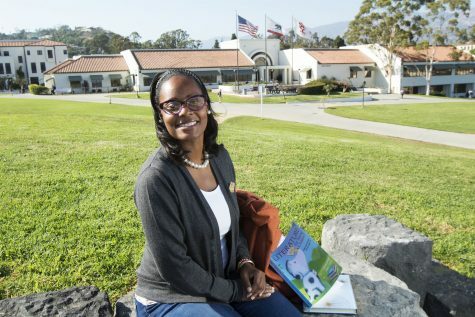 “It seems to me that in the last 10 years or so, the level of students that have been coming in [have] been better and better,” said Professor Nathan Kreitzer. Kreitzer believes that social media and television shows like “The Voice” have played a role in the improvement of the vocal students. “The students now, they’re a lot more fearless,” he said. Reflecting on his favorite aspects of the program, Kreitzer said he enjoys watching the students improve. The next two Applied Music recitals will be held at 12:30 p.m. on Oct. 23 and Nov. 20 in the Drama Music Building Room 101. Jeon will also be a featured soloist at the SBCC Concert Choir and Chamber Singers performance, held at 7 p.m. on Dec. 5 at the First United Methodist Church.